The KBS Drama Awards was held in the evening of December 31st, 2011. Actors Joo Won and Han Hye Jin and broadcaster Jun Hyun Moo were the host for the ceremony. Shin Ha Kyun, Lee Tae Gon, Kim Yeong Cheol, Moon Chae Won, Park Si Hoo, Do Ji Won, Han Hye Jin, Daniel Choi, Uee of After School, Suzy of Miss A, Lee Si Young and many other celebrities attended the awards ceremony. The lead actor of Brain which is currently airing won the Daesang Award, while Park Shi Hoo and Moon Chae Won of The Princess’ Man won the Top Excellence Best Actor and Best Actress Award respectively. In addition, Brain also won Actor Excellence Award, Best Couple Award, Netizen Award and other awards. The Princess’ Man was not far behind, winning the Popularity Award, Best Couple Award, Actress Excellence Award and so on, becoming the winner for 7 awards. The weekend drama Ojakgyo Brothers which is currently still airing also won Newcomer Award, Best Couple Award, and Acting Excellence award and other awards for a total of 7 awards. Kim Soo Hyun of another drama, Dream High, won Newcomer Award, Best Couple Award and Popularity Award. The winners of 2011 KBS Drama Awards most came from the hit drama series of the year. Out of 44 winners in 14 categories, the actors from The Princess' Man, Brain, Ojakgyo Brothers, and Dream High were called 28 times. 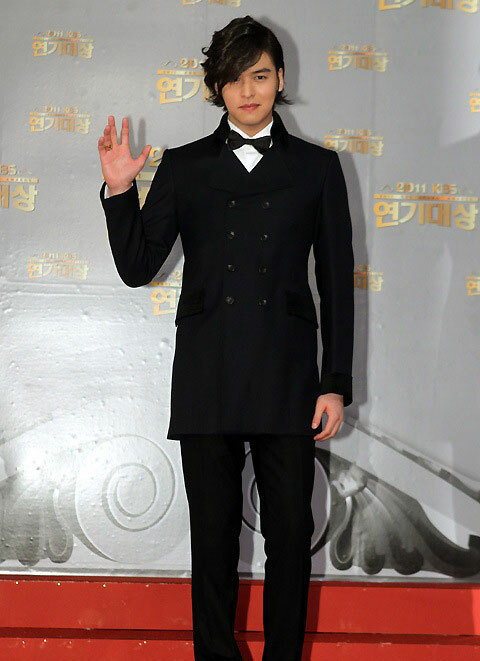 But Kim Young Cheol who played the protagonist role of General Soo-yeong in The Princess' Man didn't win any award. Do Ji Won who played the character who has mental age of only 9 years old in Smile, Dong-hae could only won the Actress Excellence Award. Check out the full winners list of 2011 KBS Drama Awards.